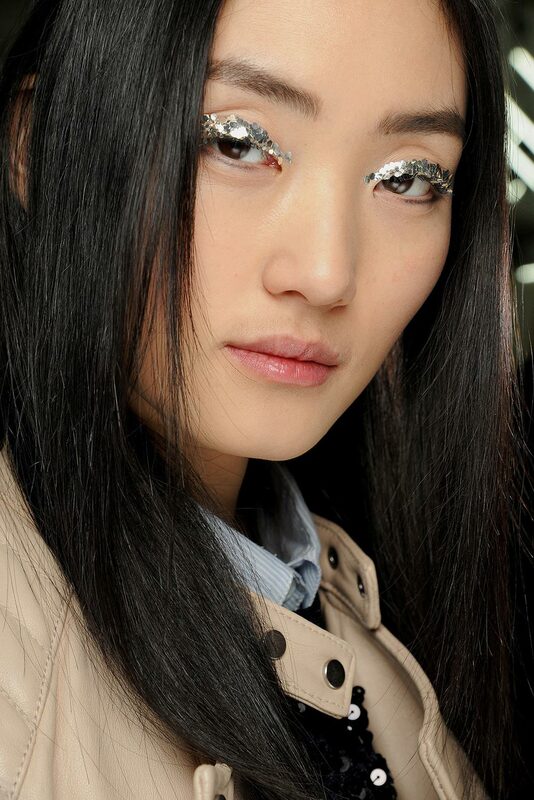 Chanel continued its grandiose 3d eye makeup on the runway with silver sequins glued on the eyes at the A/W 2013 show. 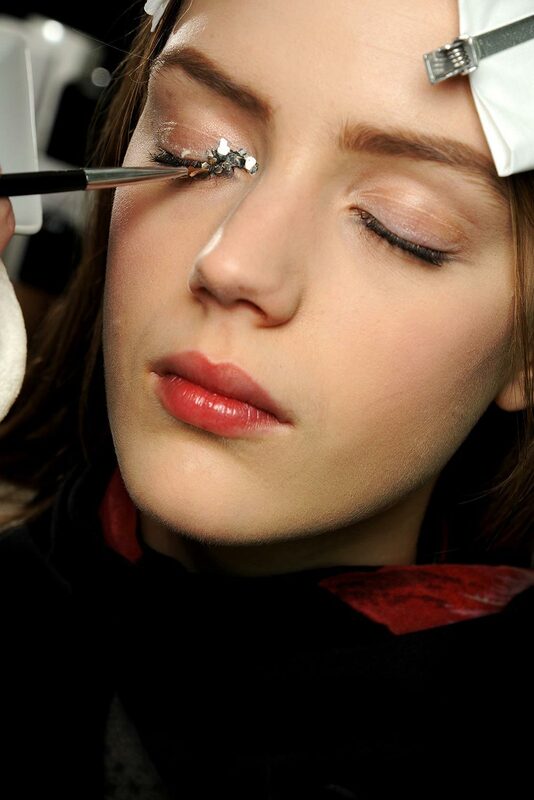 To balance the look, Chanel Creative Director Peter Philips gave skin a semi-matte finish with Chanel Perfection Lumière Long-Wear Flawless Fluid Makeup and Chanel Poudre Universelle Libre and added Chanel Rouge Coco Shine on the lips and a touch of Chanel Le Crayon Khôl eye liner in Noir on the lower lashlines. 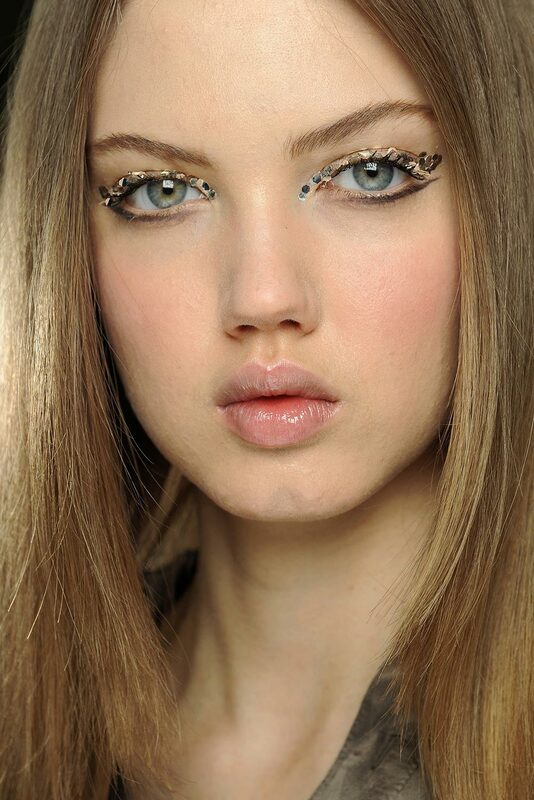 3d eye makeup is looking spectacular. 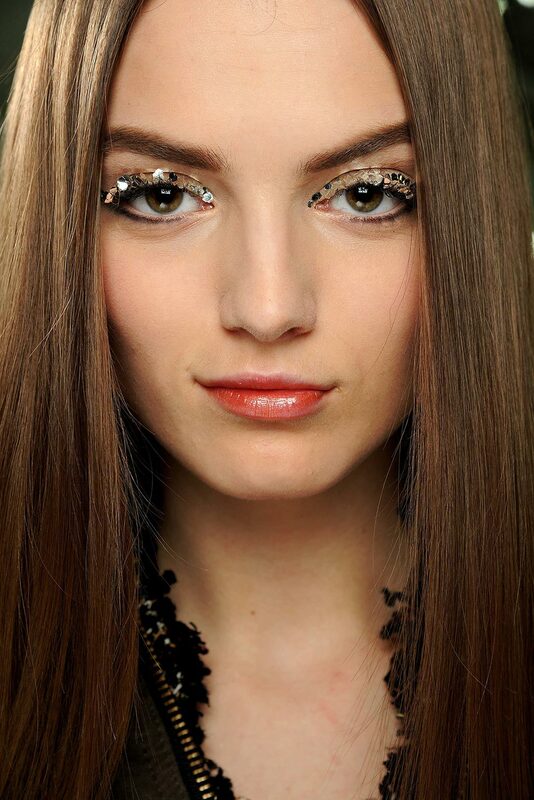 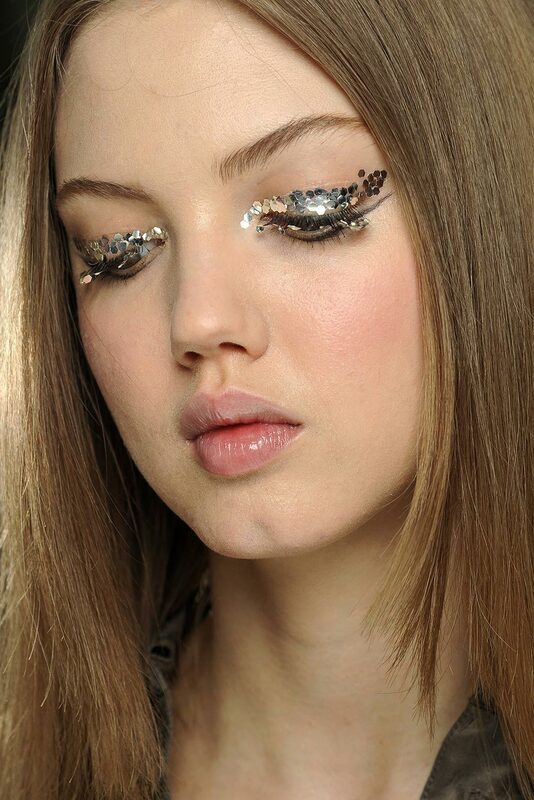 Gluing silver sequins on eyelids is…genius.